Have you recently jumped on the "wait, print isn't actually dead and all those doomsday predictions were just fallacies that completely disregarded the prominence of a basic necessity that happens to be the focal point of a multi-billion-dollar industry" bandwagon, and are now thinking about using it to market your company? Well, you certainly aren't alone – lots of businesses are coming to the realization that marketing is more effective when digital and print are used in a complimentary fashion. Right Source Marketing's Yvonne Lyons, who serves as the vice president of content marketing, is actually an advocate of print, even though her company works primarily online. She envisions the ideal strategy as multimedia, encompassing various methods of distributing information to prospective clients. What are some advantages of print marketing? Good question – it's important to know what you're getting yourself into before spending money on it. There are a few things you can't get digitally that print has to offer. For example, you can create a well-designed, aesthetically pleasing piece that showcases your graphic design department's skills. Sure, you can make cool graphics on a computer, but they won't grab readers' attention as well as a print version would. Business 2 Community contributor Danielle Sensley chimed in on the subject, stating that the best way to achieve marketing synergy is to have your designs fit into a variety of platforms – print, blogs, social media, etc. The process of creating content should begin with a collective idea of how each individual medium will emulate the central product or concept. Lyons also implied that there is an air of instant credibility – even if it is not warranted – that print brings to the table that digital content simply cannot match. She asserted that potential interviewees probably feel less inclined to respond to an inquiry for a blog post, but if told their words will appear on paper, they might be more open to the idea. Additionally, she said, recipients may feel more obliged to hang on to something that's in print. Email has spam folders, which eliminates targets before they can even absorb the information. Even if the content doesn't get filtered out, it's easier to just ignore it and hit "delete." If you want to throw away a print ad, you at least have to pick it up and look at it first. How do I start implementing print as a part of my marketing strategy? The most important thing, Sensley stressed, is breaking down walls that may exist between your employees. Have your SEO people work directly with your editorial staff, so that the content produced will be both well-structured and chock full of keywords that will make your presence more noticeable on search engines. Analytics and design people should meet to discuss focal points and targets. Making sure everyone is on the same page is crucial, so maybe an open office concept, or simply moving these departments close together, can have a positive effect on the process. Lyons said that one of print's big benefits is its ability to target specific niches and demographics. 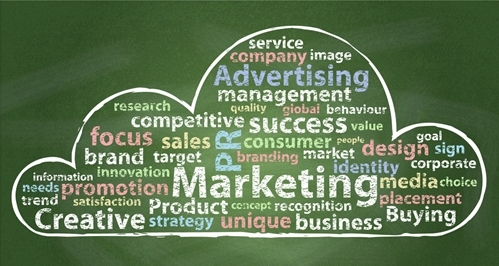 It is imperative to identity who exactly you're marketing to, and how they should be approached. Millennials might be receptive to the use of QR codes, social media promotions and infographics, but the 65-plus crowd would probably be more appreciative of straight information, simplified but strong graphics and pictures. Identification of your target consumer's needs and wants is the most important step to ensure that you're maximizing your multimedia marketing. This can best be achieved by broadening your employees' horizons, and having people who provide different content work together to create a diversified product that can function in various forms.